Bellator 185: Mousasi vs. Shlemenko (photos) » MMA H.E.A.T. On Friday, October 20, Bellator 185 took place inside Mohegan Sun Arena in Uncasville, Connecticut. 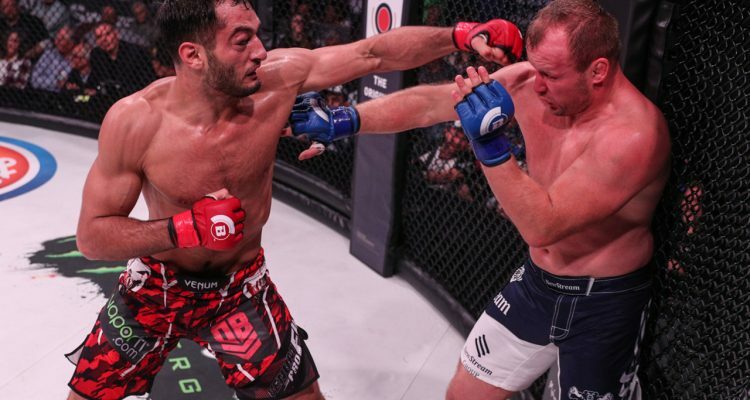 Bellator 185 featured Gegard Mousasi’s Bellator debut against Alexander Shlemenko. No Comments on "Bellator 185: Mousasi vs. Shlemenko (photos)"